MSc student Mallory O’Donoghue took part in the Human Book Project at the University of Glasgow Library to get some career advice from senior research fellow, ex-deputy director of the Victoria and Albert Museum and University of Glasgow graduate Beth McKillop. From green freshers to seasoned postgraduate students, by the middle of the semester it’s easy to get caught up in the day-to-day tasks of academic life, and forget that our time at the University of Glasgow is only the beginning of a lifelong career path. Where those paths lead, and the directions we take, are as varied and diverse as the UofG student body. While this journey is exciting, at times our directions can feel a little muddled, missing a few steps, a little hard to read… Events like the Human Book Project can help. Last week, eight UofG graduates (many from the College of Arts), with careers ranging from social entrepreneur to composer to journalist to actor, returned to Glasgow to spend a day as “human books.” For 20 minute intervals current students could take a participant out “on loan” to gain insight into their respective fields. These one-on-one sessions allowed students to gain a greater understanding of the book’s areas of expertise, as well as a chance to learn about their own personal career stories: Where did they end up? Why? And (most importantly) how? Great to see everyone meeting the brilliant @GlasgowAlumni Human Books today on Level 2 for the @UofGCareers #UofGMentoring event! As a masters student pursing a degree in Art History I am rather in awe of the artefact and the artwork. But I, and many other would-be art historians, see the “art world” as just that, a world so separate from regular life that it makes entry into a career feel almost impossible. Positions within galleries or museums or heritage sites seem as guarded as their treasures. That Beth McKillop, a research fellow and the former deputy director of the Victoria and Albert Museum, was partaking in the Human Book Project gave me a chance to step behind the red ropes and see past the glass case. The chapters of her journey, from undergraduate at Glasgow, to travelling to Peking University to hone her understanding of Asian art, to the highlights of her career in the British Library and finally at the V&A were all extremely interesting, but I found the “footnotes” of her story to be the real trove of knowledge offered by the Human Book Project. During my “loan,” McKillop couldn’t tell me what I should do or where I will end up after my time at Glasgow. However, listening to her story allowed me to pinpoint the tools and practices she used to take a degree and translate that into a lifelong career. That being said, find what you are passionate about and pursue it relentlessly. Garner networks of connections. In her early days, tutors lent McKillop not only their experience and knowledge, but a confidence in herself she had yet to embrace. Be a team player! Don’t be afraid to rely on the different strengths and specialities of your colleagues, this will make your work more well-rounded and successful. In your career, remember to make something you are proud of. Take advantage of UofG! Use the resources the university has to offer and that you may only find here. Though I am only in the first chapters of my own career story, the Human Book Project will certainly be going in my bibliography. 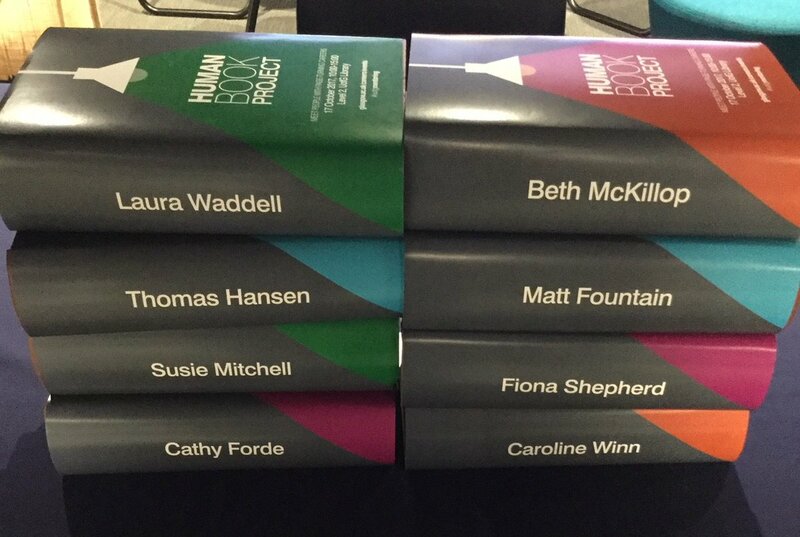 The Human Book Project was organised by the University of Glasgow’s Careers Service. You can get in touch with them for advice on your own future career on 0141 330 5647, email them at careers@glasgow.ac.uk or follow them on Twitter or Facebook for job opportunities and advice. Mallory is a MSc student in Art History: Collecting and Provenance in the International Context.